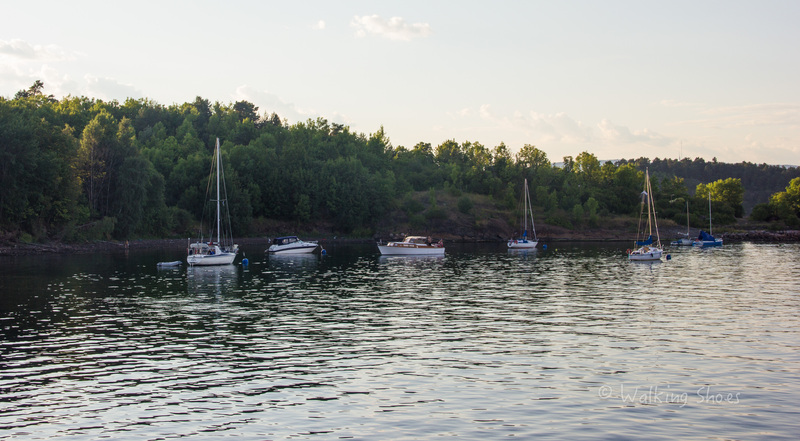 I spent the last day in Oslo, hopping islands in Oslofjord. 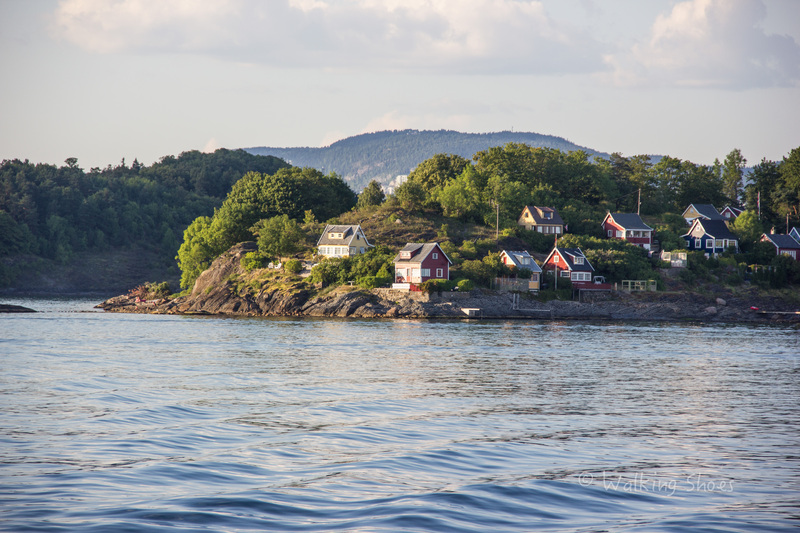 Oslofjord comprises of a few islands and is easily accessible by public ferry from the Oslo city center. These beautiful islands make for a perfect day trip. 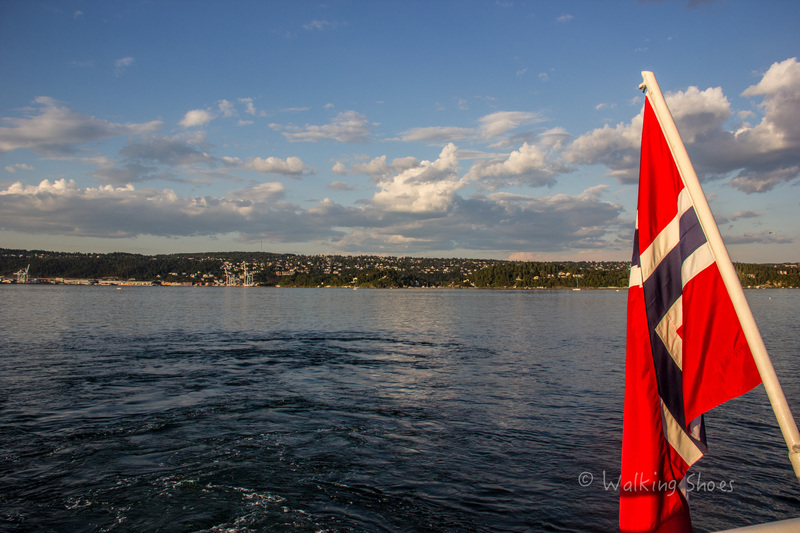 I took a ferry and went island hopping between the islands in the Oslo Fjord. My first stop of the day was Langøyene island or Long Islands that lies in the innermost Oslo Fjord. Not only it offers spectacular views of the fjord, it also has a big beautiful beach and a volleyball court making it a perfect place for fun and relaxation. Next, I hopped to a teeny-weeny island called Bleikøya which looked like a painting. It is a small, picturesque island dotted with colorful cottages all along. Bleikøya Island – One of my favorite places in Oslo. Leaving the best for last, I ended my day at Hovedøya island. This island is 5 minutes from the ferry station at Vippetangen so most people visit it as their first island for the day. To avoid big crowds, I decided to visit it last. By the time I reached, there were almost no visitors left and I enjoyed the beauty of its woods in sheer solitude. The island has a lot of open, green spaces as well as dense forest cover. You can find many different types of flowers and vegetation here. The beauty of this island – lush greens and marina beach left me spellbound. Some places are just not real. I also visited the ruins of a medieval monastery there. It was founded in 1147 and was quite well maintained. In ancient times, Hovedøya island was used for military purposes and so you can also spot cannon batteries, gunpowder depots and military buildings here. For me, the day was perfect. The clear skies, idyllic water, and sand between toes – what more can one ask for? Happiness is a day spent island hopping! Like everything in Norway, food is overpriced on the islands. Packing your lunch is a good idea. The ferries are a part of public transport system and are a good alternative to the expensive commercial boat trips. In summers, ferries run every hour and post-October, they run six times a day. So plan your day accordingly. 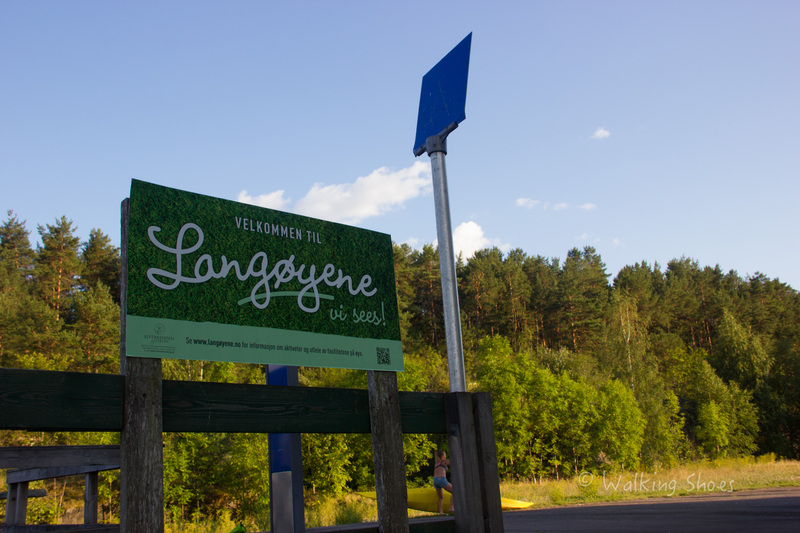 Camping is allowed only in Langoyene island. Seeing a view like this would be worth your visit to a visa consulting firm. I love the pictures! I find them so beautiful and very relaxing to look at. I can imagine myself being there. Thanks a lot! I’m so glad you like it. magnificent points altogether, you simply gained a new reader. What might you recommend in regards to your post that you made a few days ago? Any sure? I am not certain where you’re getting your information, but good topic. I must spend some time finding out much more or working out more. Thanks for excellent info I used to be on the lookout for this info for my mission. Thanks for the post. When you are on the island, how did you get around?